Trident MapleDeciduous tree. Slow to moderate growth. Naturally low branched. Round headed canopy. S..
Trident MapleDeciduous tree. Slow to moderate growth. Dense upright oval. Good street tree. Small th..
Vine MapleDeciduous tree. Slow growing. Low branching rounded canopy. Beautiful fall color of reds, ..
Jeffersred MapleDeciduous tree. Fast growing. Large, round-canopied shade tree. Big, palmate leaves .. Autumn Fantasy MapleDeciduous tree. Fast growing. Large, round-canopied shade tree. Big, palmate lea..
Amur MapleDeciduous tree. Slow growing, round-headed tree. Three lobed, toothed leaves. Striking red..
Amur MapleDeciduous tree. Slow growing, round-headed tree. Three lobed, toothed leaves. Fiery red fa..
Amur mapleDeciduous tree. Multiple trunks. Slow growing, round-headed tree. Three lobed, toothed lea..
Paperbark MapleDeciduous tree. Slow growing rounded canopy. Outstanding small specimen tree. 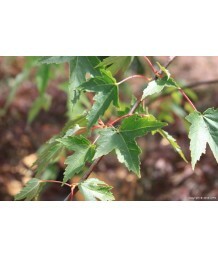 Reddish..
Fullmoon MapleDeciduous shrub or tree. Nearly round leaves with seven to eleven lobes. Red, orange a..
Bigleaf MapleDeciduous tree. Large three to five-lobed leaves that can reach up to 15 inches wide. 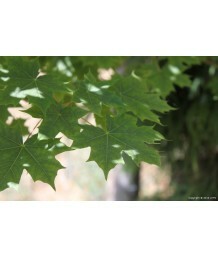 G..
Bigleaf MapleDeciduous tree. Older, larger specimen than traditional container sizes. Large three to.. Box ElderDeciduous tree. Fast growing. Broad oval crown. Elongated, bright green, toothed leaves tur..
Flamingo Box ElderDeciduous tree. Fast growing. Broad oval crown. 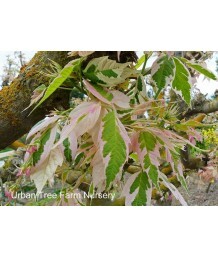 Variegated white and green leaf wi..
California Box ElderDeciduous tree. Fast growing. Broad oval crown. Elongated, bright green, toothed..
Norway MapleDeciduous tree. Fast growing. Rounded canopy. Large deep purplish palmate leaves. Tolera..
Columnar Norway MapleDeciduous tree. Fast growing. Dense upright oval form. Deep purplish palmate le..
Norway MapleDeciduous tree. Fast growth rate. Oval to rounded habit. Deep, glossy green leaves. Attr..
Norway MapleDeciduous tree. Moderate growth rate. Upright habit. 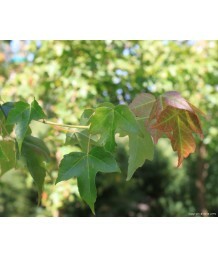 Large maroon leaves, tinged green o..
Eskimo Sunset Sycamore MapleDeciduous tree. 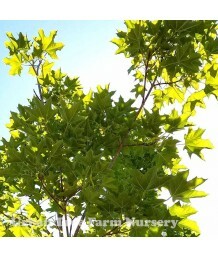 Best in partial shade in hot climate; will burn in hot s..
Armstrong/Columnar Red MapleDeciduous tree. Fast growth. Upright, narrow, slightly oval habit. 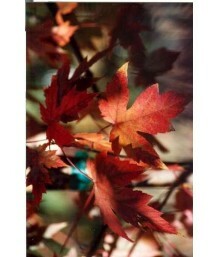 Green..
Red/Scarlet MapleDeciduous tree. Fast growth. Dense rounded canopy. Tiny red flowers on bare branche..
Red/Scarlet MapleDeciduous tree. Fast growing. Dense upright oval form. Green palmate leaves show br..
Red/Scarlet MapleDeciduous tree. Upright, oval habit. Green leaves in summer. Fall color changes yea..
Scarlet MapleDeciduous tree. Fast growing. Large round canopy. Good shade and lawn tree. Classic map..
Red/Scarlet MapleDeciduous tree. Fast growing. Oval canopy. Good shade and lawn tree. 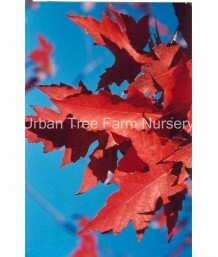 Classic maple ..
Columnar Red/Scarlet MapleDeciduous tree. Fast growing. Upright, narrow canopy. Good shade and lawn ..
Red/Scarlet MapleDeciduous tree. Fast growing. Slightly oval to rounded form. 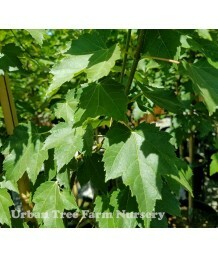 New foliage is burgund..
Silver MapleDeciduous tree. Fast growth. Native to eastern and central North America growing in mois..
Sugar MapleDeciduous tree. Slow growth with a dense rounded canopy. Medium green leaves turn yellow ..
Sugar MapleDeciduous tree. Moderate growth rate with oval-round canopy. This tree is the source of m..
Tatarian MapleDeciduous tree. Multiple trunks. Small, ornamental habit. Rich green, slightly differe.. Hybrid MapleDeciduous tree. Fast growth rate. Compact, upright, oval habit. High heat tolerance. Dee..
Truncatum/Platinoides MapleDeciduous tree. Narrowly pyramidal, sometimes upright oval habit. Natural.. Hybrid MapleDeciduous tree. Rounded, upright habit. 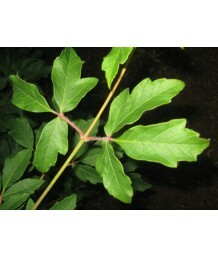 Smooth, glossy green leaves in summer. Fall colo.. Hybrid MapleDeciduous tree. Rounded, upright habit. Fine textured branch structure with a wide canop.. Hybrid MapleDeciduous tree. Fast growth rate. Broadly oval to rounded habit. Glossy, dark green, pal.. Hybrid Maple/CelzamDeciduous tree. Fast growth. Broadly oval habit with open branch angles. Deeply c..
California BuckeyeDeciduous tree. Moderate growth with spreading canopy. Large white spikes of fragr..
Californis BuckeyeDeciduous tree. Pruned to have a single trunk. Moderate growth with spreading cano..
Red HorsechestnutDeciduous tree. Moderate growth rate. Round-headed canopy. Good shade tree. Dark gr..
Red HorsechestnutDeciduous tree. Moderate growth rate. Rounded canopy. 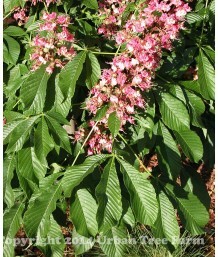 Large stalks of pink flowers ..
Red HorsechestnutDeciduous tree. 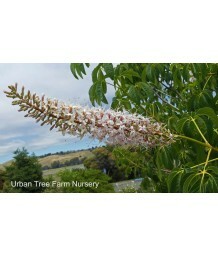 Beautiful, round-headed tree perfectly suited for use in smaller ya..
White Flowering HorsechestnutDeciduous tree. Moderate growth rate. Rounded canopy. Large stalks of w.. Silk MimosaDeciduous tree. Fast growth. 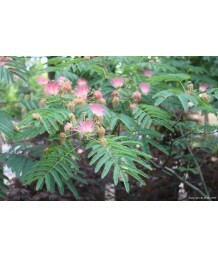 Attractive airy foliage and open umbrella-like form make thi.. Silk MimosaDeciduous tree. Fast growth rate. Spreading umbrella shaped canopy. Oval fern-like leafle.. Silk MimosaDeciduous tree. Multiple trunks. Fast growth rate. Spreading umbrella shaped canopy. Oval..
Chocolate MimosaDeciduous tree. Medium to fast growth rate. Spreading umbrella shaped canopy. Oval f.. Silk MimosaDeciduous tree. This specimen has a straight, central trunk and branching starting closer.. 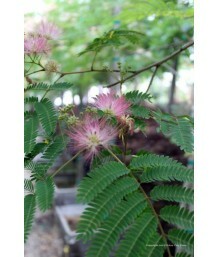 Silk MimosaDeciduous tree. Pruned to have a single trunk. Fast growth rate. Spreading umbrella shape..
Italian AlderDeciduous tree. Fast growth, upright canopy. 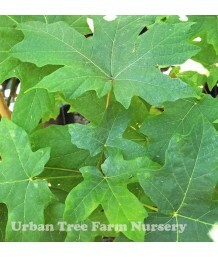 Heart-shaped leaves, dark green on top, li..
White AlderDeciduous tree. Fast growing with upright or round canopy. 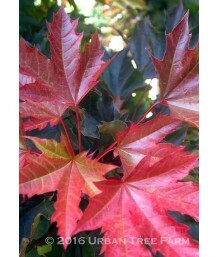 Toothed leaves, dark green on ..
Red AlderDeciduous tree. Usually found in areas with maritime influence. 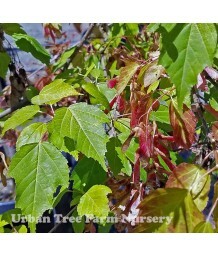 Dark green leaves are rust-..
ServiceberryDeciduous shrub. 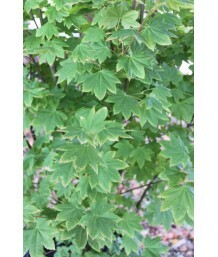 Finely-toothed, oval-rounded leaves are medium to deep green. Showy whi..
ServiceberryDeciduous shrub. Large flowers and fruit, which are borne on a relatively compact, sucke..
ServiceberryDeciduous shrub. Narrowly upright habit of growth with showy white flowers in spring fol..
ServiceberryDeciduous shrub. Yellow flower buds, abundant white flowers in spring. Deep bluish-purpl..
ServiceberryDeciduous shrubby tree. A small tree prized for its brilliant orange-red fall color and ..
ServiceberryDeciduous shrubby tree. Multiple trunks. 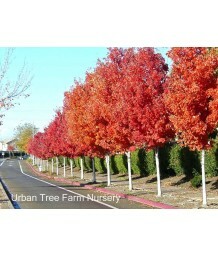 Known for its brilliant orange-red fall color a..
ServiceberryDeciduous shrubby tree. Masses of white blossoms in early spring followed by tasty fruit..
ServiceberryDeciduous shrub or tree. Masses of white blossoms in early spring followed by tasty frui..
ServiceberryDeciduous shrubby tree. Graceful and airy branching structure. Clusters of white flowers..